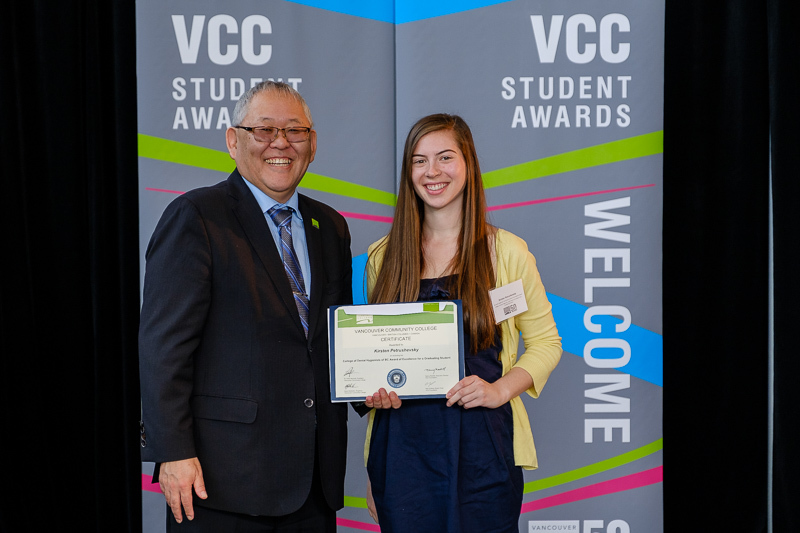 Congratulations to Kirsten Petrushevsky on being the 2016 recipient of the College of Dental Hygienists of BC Award of Excellence for a Graduating Student. Kirsten is excited to complete the dental hygiene program and start her career as a dental hygienist. She will be returning to the East Kootenay, where she grew up. 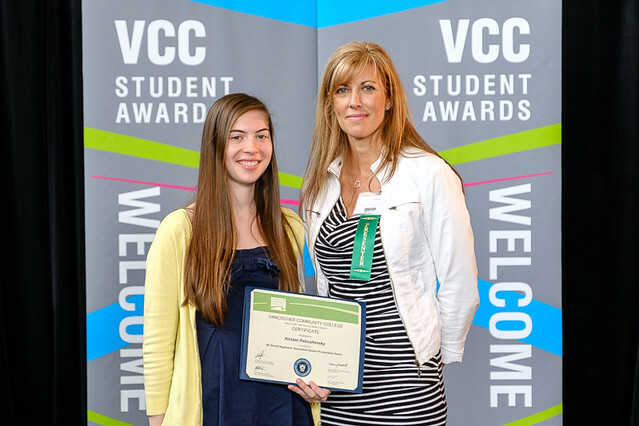 Kirsten would like to thank her family, her instructors, and the faculty and staff at VCC for their support and guidance. The impact of your generosity reaches far beyond awards’ day. You’ll be pleased to know that in addition to receive high satisfaction rates from students that study at VCC, 93% of our graduates are employed upon completing their program. Kirsten’s ceremony photos are here and here.